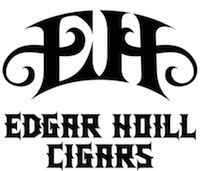 Earlier this year, Edgar Hoill Cigars announced a very limited run in this Lancero (7 x 38) format. The Nicaraguan puro was previously only available in the three regular-production sizes. The spongy Lancero features lots of cocoa, tea, and earth flavors with a bit of clove spice. It’s medium- to full-bodied. The draw is slightly tight (a common issue for lanceros) but otherwise construction is solid. Big lancero fans (although I enjoy them on occassion, I wouldn’t say I’m a “big lancero fan”) should scoop one up while they can, but the three regular-production perfecto sizes are a better representation of this blend.